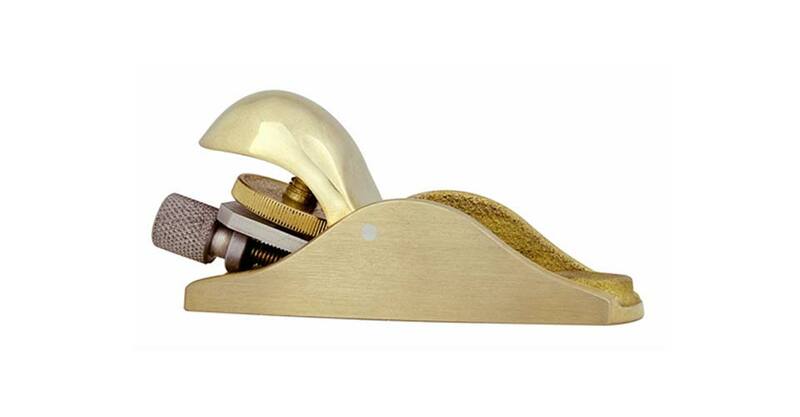 Our Violin Maker's Block Plane is perfect for detail-oriented jobs like instrument building or model making. Loosely based on the Stanely No. 101, it is the smallest of our hand planes to feature a captive nut blade adjuster for precisely controlled depth of cut. Body and cap are Manganese Bronze for extra weight, durability, and resistance to rust. The body is 3-7/16" long x 1-3/16" wide x 1-5/8" tall. 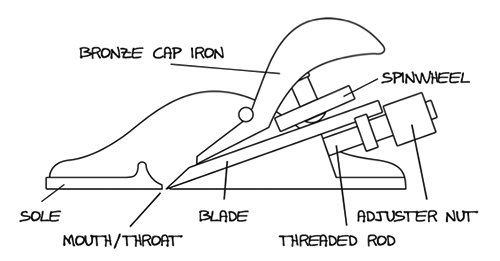 A2 Steel Blade is 7/8" wide x 1/8" thick, bedded at 20º. 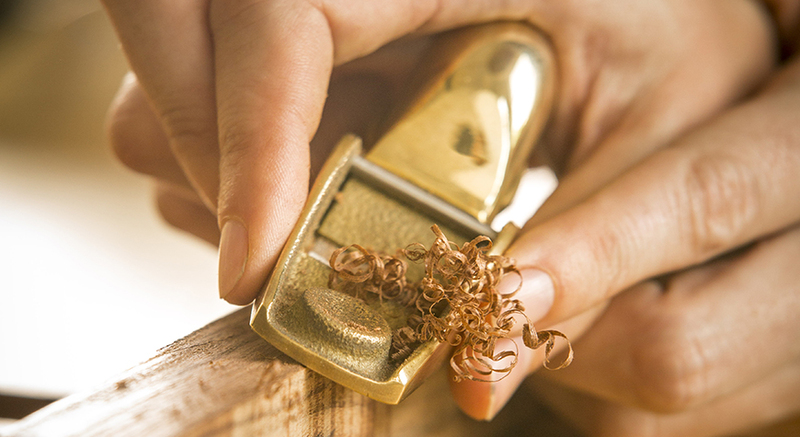 This pocket-sized block plane is the smallest of our hand planes to feature a captive nut blade adjuster for precisely controlled depth of cut. 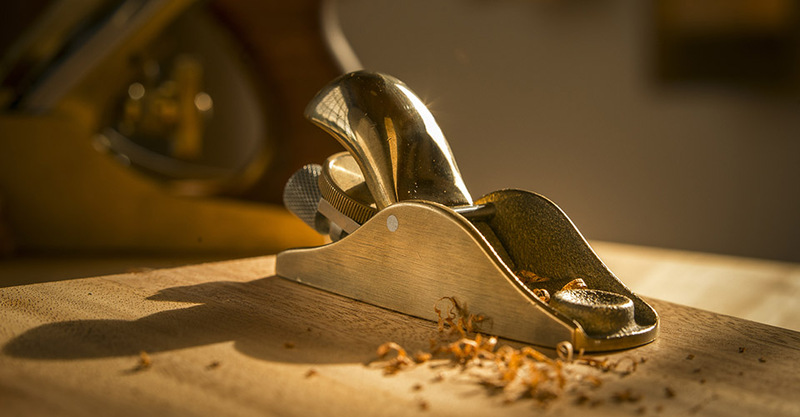 Loosely based on the Stanley No.101 block plane, the Lie-Nielsen Violin Maker’s Plane features several significant improvements that put it in a class of its own. The body and cap are made from Manganese Bronze for extra weight, durability, and resistance to rust. The blade is made from 1/8" thick cryogenically treated A2 steel for chatter-free cuts and prolonged edge life. The addition of a finely controlled blade depth adjuster make this little workhorse perfect for detail-oriented jobs like instrument building or model making. The blade comes with a 25° flat ground bevel. It is bedded in the plane at 20°, giving you a cutting angle of 45°. The mouth of the plane is made to take a maximum .008-.010" cut, which is suitable for most woodworking. Slightly loosen the pressure of the cap and advance or retract the blade. Tighten the spinwheel. Do not overtighten. You should be able to adjust the blade after loosening the spinwheel about a quarter turn. We use Manganese Bronze for the body of this plane. Our castings are fully stress-relieved, a process that removes inherent stresses and ensures that the tool will remain flat and true. The cap is also Manganese Bronze; other parts are Brass and Stainless Steel.